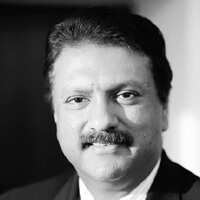 Strong show: Nicholas Piramal group chairman Ajay Piramal. Mumbai: Pharmaceutical major Nicholas Piramal India Ltd posted a significant growth in revenue from contract manufacturing business and also from its diagnostic subsidiary in the second quarter of the current fiscal. The country’s leading drugmaker posted 58% growth in net profit, at Rs84.77 crore with consolidated sales of Rs764.57 crore for the quarter ended September. Compared with Rs654.83 crore sales in the year-ago quarter, the pharma company’s sales grew 17% this quarter. Nicholas Piramal, which operates subsidiaries in half a dozen global markets, also achieved significant earnings in the domestic market with more than 20% growth in sales and profit during the quarter. While the company’s custom manufacturing revenue grew by 300% to Rs69.4 crore, its wholly owned subsidiary in the diagnostic business, Wellspring posted 17% increase in income to Rs31 crore this quarter compared with the year-ago quarter. Nicholas shares closed on Thursday at ₹ 285.80—up 2.51% on the Bombay Stock Exchange. “The newly acquired outsourcing projects from global clients and the recent acquisition of diagnostic networks in the local market helped Nicholas in posting good revenues in the custom manufacturing and diagnostics businesses respectively," said Kirit Gogri, a pharma analyst associated with Mumbai-based equity research firm ASK Raymond James Securities Ltd.
Nicholas, which is now focusing on basic drug research aggressively, has some promising molecules for cancer and diabetes in its pipeline. However, in order to de-risk the parent organization from the increasing cost of research and development (R&D), it is proposing to spin off the R&D arm into a separate company.